Up here, this time of year, the first question that you hear in any RV park is "which way you heading, up or down?". Well we are heading DOWN the AlCan and there is a lot of construction going on with water trucks all over the place. The towed gets so coated with red mud that you don't want to even touch it. That's the DIRTY part! The coach gets its share also. 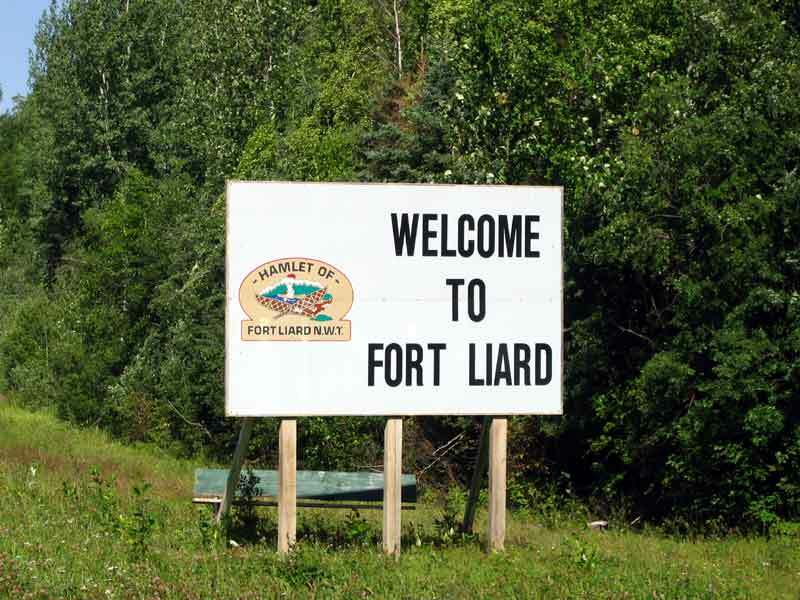 Fort Liard is a small town in the Northwest Territories. It is 125 miles up the Liard Highway from Fort Nelson. Since we had not been to the Northwest Territories before, we decided to take the drive and see what was there. 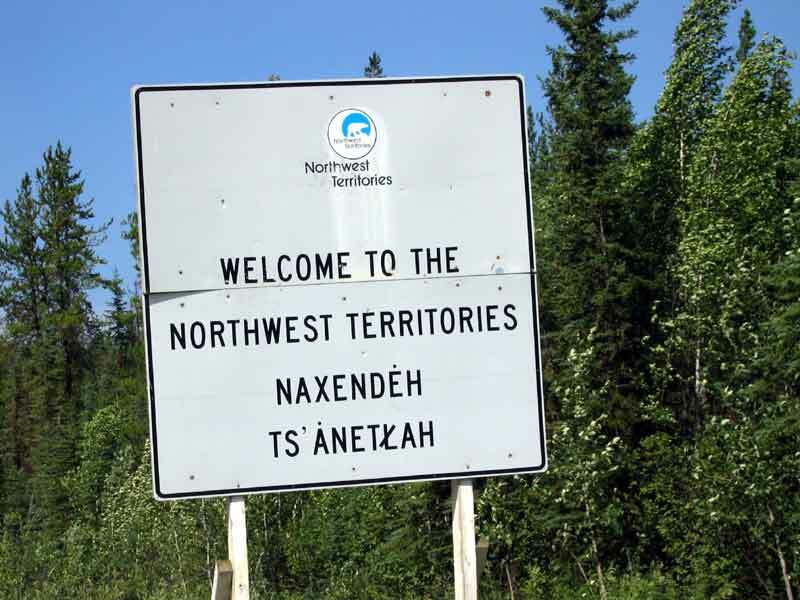 It turned out to be a small town primarily populated by Acho Dene natives. The lady at the visitor information center and craft shop was very friendly and told us a lot about her people's history here and elsewhere in North America. Had a good lunch at the only restaurant in town which is in a single wide trailer. The road is mostly paved, but with lots of construction and water trucks. Probably only saw half a dozen vehicles on the road other than the construction related traffic. 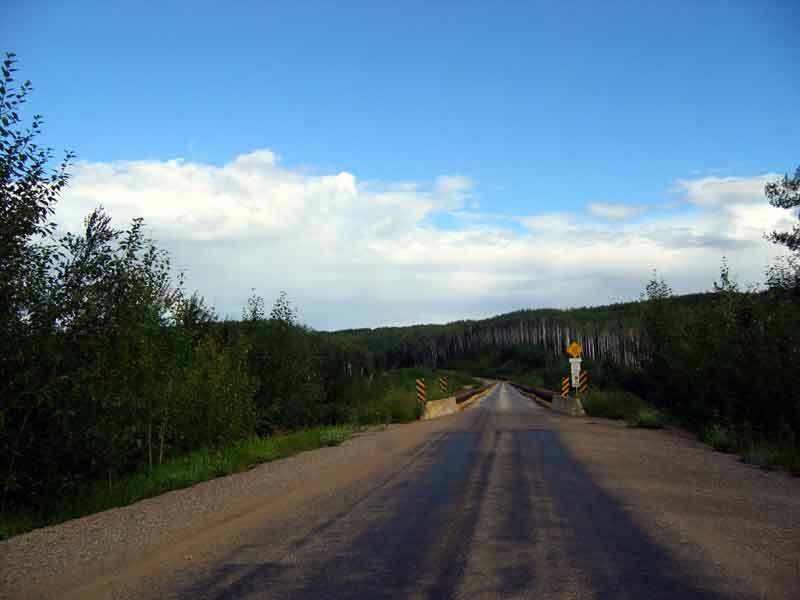 The picture is of the Fort Nelson River bridge. It is the longest Acrow bridge in the world at 1,410 feet. The Acrow style of bridge construction was formerly called a Bailey bridge and is designed of interchangeable steel panels coupled with pins for rapid construction.